After all of this time, I finally took a Barry’s Bootcamp class. I’m not sure what I’ve been waiting for, as it’s something I’ve been wanting to try for years. I was really excited when we found out there was one in San Diego, but I’ve been so happy in my Orangetheory bubble that I didn’t feel the need to do much experimentation in the bootcamp world. Finally, I decided to go for it. During the first round on the treadmill, I thought, “Maybe I can save my hair today. Maybe I won’t sweat that much.” If you’ve taken a Barry’s class, you have full permission to laugh at me. I left in a puddle of sweat. I staggered around Trader Joe’s grabbing groceries afterwards; I dropped two things (thankfully, they were not breakable items), and had this dazed half-smile on my face. Since 1998, Barry’s Bootcamp has been delivering The Best Workout in the World® to a legendary following, including A-list celebs, models—even Olympic athletes. Our signature hour-long workouts include 25-30 minutes of interval cardiovascular treadmill routines and 25-30 minutes of strength training utilizing free weights, resistance bands, medicine balls and other equipment. Trainers, muscle groups and even workout segments vary throughout the week so that no one class is ever the same. Our innovative technique works to “shock” the body in the most efficient and effective way to improve your cardiovascular system, lose weight and build muscle. Our world-class trainers are the best in the business and promote a positive, supportive environment that will help you break past your own personal boundaries. Come discover why Barry’s Bootcamp has been voted “The Best Celebrity Workout” by Allure, Los Angeles Magazine and many others. Regardless of skill level, you can burn 1,000 calories in just one hour. You will see and feel results right away in a thumping music-filled environment where every class feels new, fun and exciting. To sweat. A lot. I started off on the treadmill (I usually like to get it over with first), and during the strength rounds, I had sweat dropping off my face onto the floor. By the end of class, the floor was covered in sweat. It’s crazy. To be pushed to your personal max. Since the rounds are fairly short, you know you’ll be changing up the exercise or treadmill speed soon; I find that it’s easier to push myself during the cardio rounds when I know they’re short-lived. 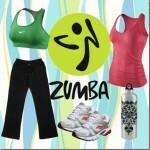 The cardio speeds and exercises are constantly changing, which makes the class fly by. To get a killer workout with fantastic music. The workout was awesome, and was complemented by a killer playlist, which I talk a little bit more about below. Amazing workout. I went on a full body day, and was wondering if I’d be cheated with any muscle groups. We really did work the entire body, with cardio blitzes in between each set. This is my absolute favorite style of mixing strength and cardio, and how I prefer to structure my personal workouts. 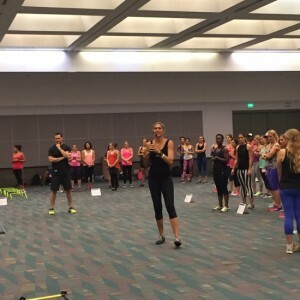 For this total body workout, the work rounds were split into 6-minute segments. On the treadmill, we did sprints with varying inclines. For the floor, we did planks, renegade rows, walking lunges, burpees, pushups, triceps dips, squat and biceps curls, and dumbbell snatches. Each strength segment was either 30 seconds of 1 minute, and muscular endurance style: you completed as many reps as you could within that time block. Strength splits. I LOVE that they segment each day by muscle groups, so you know in advance what you’ll be working. This is kind of a tricky aspect of Orangetheory for me, before I never know what we’ll be working, and sometimes end up working the same muscle groups on consecutive days (which isn’t ideal, since they need time in between training days to repair and recover). AMAZING music. Our instructor played the Posh Podcast (which I’d never heard before) and it was club remixes of top 40 music. I have to start downloading this ASAP. I could definitely see myself downloading something like this for a long run. Extremely clean. The studio is fully cleaned in between each class, which is nice because a LOT of sweat happens. 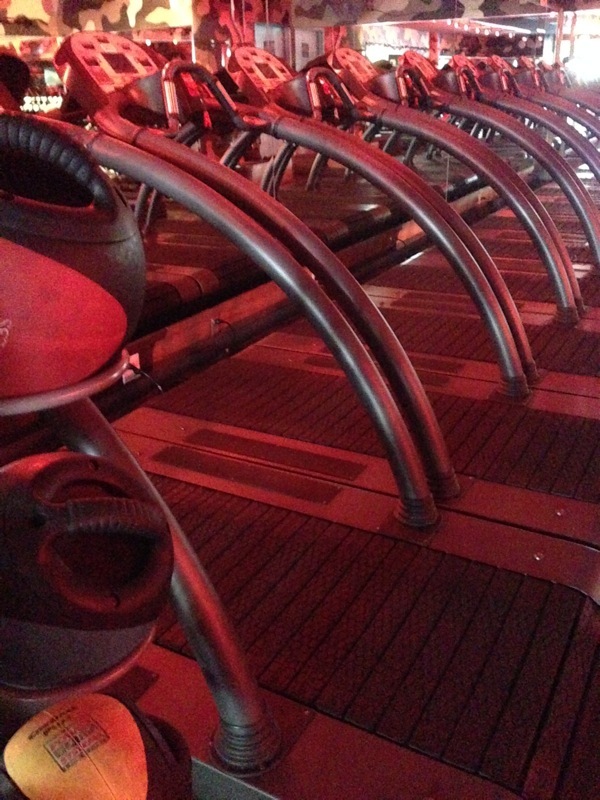 The treadmills. I am obsessed with Woodway treadmills. 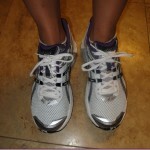 They are so much easier on the joints, and I find that I can run farther and faster on them. I also like that you are creating the speed, instead of the treadmill doing it for you. There is a Woodway treadmill on base in Tucson, and I never thought I’d see one again. As you can imagine, I was pretty stoked. The website. I can always appreciate when a boutique fitness studio doesn’t take themselves too seriously. The verbiage on the website was very casual and approachable. There were some funny zingers in there too, and it was a great first impression of the studio. Not a lot of cueing or set-up instruction. Our instructor flew through the treadmill commands and the strength portion. I could see how a “regular” would enjoy this (as your heart rate doesn’t drop while you’re listening to set-up instructions and exercise how-to), but if I were new to these types of workouts and training style, I would have felt lost and intimidated. Even though I told them it was my first time, I wasn’t given any pre-class instruction or asked about injuries/considerations. This was interesting to me because at my current studios and previous gyms, it’s standard policy to check on newbies and provide set-up and modifications for the exercises. This type of guidance might have prevented the poor form I noticed a couple of people using during the walking lunges. A little extra time to set everyone up for a safe workout is always worthwhile, even if heart rates drop a little in between sets. Expensive. At $22 a class, it’s not a cheap workout option. The memberships and packages make it more feasible, but it’s still an expensive class. I could see it being worthwhile if it’s all you do, but as someone who’s all over the place (Zumba, spinning, BODYPUMP, Barre, Orangetheory), it wouldn’t make sense for me. I’d love to take an occasional class as a special treat, however. The environment. The studio is dark, it doesn’t have any windows, the music is loud, and you can focus and do your thing. It doesn’t have the same warm and fuzzy “team vibe” that some studios have, which can be a pro or a con, depending on your preferences. I like to take group classes for the energy, and while the energy was different (it came from the music and the dark room), I still wanted to push myself and really enjoyed the workout. Not a ton of equipment variety. There are medicine balls, dumbbells, resistance bands, benches and mats, and the treadmills. 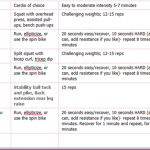 I like to play with a variety of cardio and strength equipment (depending on my mood and the class), so this can be a pro or con depending on how much equipment variety you like, or if you like to stick with the classics. As always, I’m sure that the experience has a lot to do with the instructor, so I’m excited to try out some different class times and instructors. Have you taken a Barry’s Bootcamp class before or anything similar? What was your experience like? Hi Gina! I’ve taken quite a few Barry’s classes here in San Francisco. Because the trainer is coaching two sides of the room (in a full class) there just isn’t much time for cueing and form correction, so this class is clearly not for beginner’s, as you noticed. 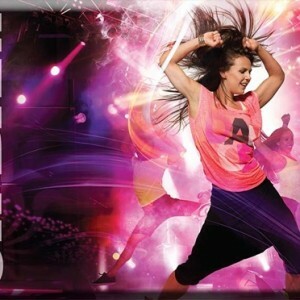 Every instructor will do the class completely different, from the length of the sets (I prefer 8-minute sets, although I’ve done, 6 and 15 before), to the music, the pieces of equipment used, and some provide more treadmill instruction than others (i.e. run on the ball of your feet, eyes up, long strides, etc.) I actually like the dark setting and vibe, but once again, all this adds up to make this is a super high-intensity workout, not really for everyone. But you definitely walk out of there feeling awesome. I’ve been to some of the days that focus on muscle groups, and they are good, but full-body are my favorite classes. Glad you enjoyed! Will you go back or are you going to stick to Orangetheory? I’ve never taken one of these classes, but always see the Kardashians doing them. I’ve always wanted to try one of those treadmills. I bet they’re more comfortable to run on than a regular treadmill. I’m officially scared/excited to take the class now! My bf bought me a package for Christmas since we live only a couple of minutes away from the one in Hillcrest and I’ve been putting off signing up for one until I’m mentally prepared. I took a few weeks off from exercise around the holidays and think I need to up my cardio/strength training game again before I attempt going to one! Hey Gina! What would you say were the differences between Orange Theory and Barry’s? I’ve take OT but not Barry’s. Are they the same? That sounds like an amazing class, but yowza, $22/class would definitely be a special occasion workout haha. 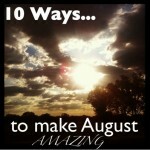 I’ve always liked boot camp type workouts, especially ones that are fast paced. I tried Barry’s for the first time this past weekend too! They ran out of treadmills so I had to do all floor so I didn’t get to fully experience the workout but my body was sore for two straight days! I liked that there wasn’t a whole lot of explanation before each exercise because I hate standing around and watching it get demo’d. Silly, I know, considering I need all the help I can get! Looks really intense! It sounds like a very immersive experience. 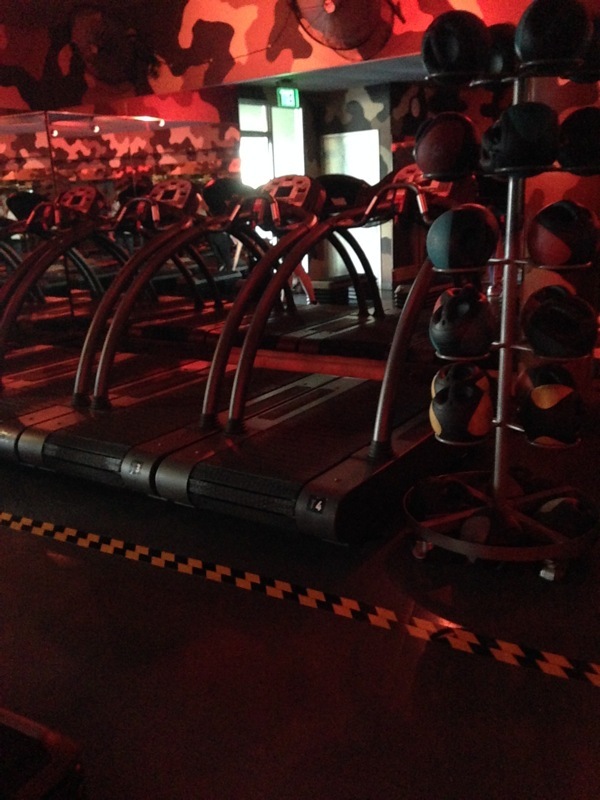 The treadmills look much better than average and it has more of a club or studio feel. I am sure that contributes to the cost, but I guess you have to weigh the good with the bad. Thanks for the fun review! I’ve taken a handful of Barry’s Bootcamp classes in NYC (classes are $34 a pop here, yeesh). I love the treadmill section– it gets me hitting speeds I would never ever imagine and really helps me realize what I’m actually capable of when it comes to sprinting. I find the strength portion often times lackluster and a wee bit dangerous with the lack of form correction and dark room. I’ve never been super impressed with the strength section but I’m sure that depends on the instructor too though! totally agree- i sprinted faster than i usually do in orangetheory. I’m so excited for Orange Theory to come to NYC and will have to check them out when they open! Oh man oh man oh man oh man this sounds so amazing. I have GOT to try this. whats harder: insanity, or this?! In Chicago we have a copycat version of Barry’s called Shred 415. It’s basically the exact same thing–woodway treadies–yesss love–you’re literally running on clouds; body part split–the full body was also my fave–and the strength equipment is also the same–benches, resistance bands, bodybars, Med balls etc..It sounds like the strength exercises are also the same too–push-ups; step-ups; burpees; lunges; etc.. And the treadmill intervals were the same too. I don’t know–I tried it a few times and liked it but found it a little too frenetic with bouncing back constantly from the treadmill to the floor. Also I found that the instructor really rushed through a lot of the strength exercises–and I didn’t really feel a full benefit from them–so I kind of felt like it wasn’t that effective because I can just do treadmill intervals on my own. But I loved the music! We also had a rocking playlist. I think it totally depends on your instructor. I was also bothered about the no asking about injuries etc..–but I guess each studio has different policies for that. I’d love to try Barry’s to see how it compares. If you’re ever in Chi-town I’d love to take a Shred class with you some time! i would love to check one out with you! Out of the loop because I’m never heard of it. But 22 dollars a class? It would have to be a good one! This looks like it would be a really neat class to try! I have always wanted to try those types of treadmills where you generate your own power…hopefully I will run into one someday! Hi Gina! Thanks for the review I’ve been really curious about Barry’s for a while. Unfortunately in Boston where I live, classes are $26 a piece! I’m a grad student so its definitely not in my budget but I would love to give it a try some time. Really enjoyed the honest review! Just curious….are you able to reveal any more information about where Kyle will be a chef in MA?! yes, let me ask him if i can post it! Love that class! I’ve been to that studio in Hillcrest quite a bit. My friend Jeff was a trainer there so I took classes for free luckily! Glad you got to try it! I am so happy you tried! I have the silver unlimited and go every morning before work. I love it!! I’ve been going every so often for a few years but been going consistently for about 4 months. I love how it never gets stale or easier. I’m constantly pushing myself to the next level and can feel myself getting stronger!! Hope you go back!! Hi Gina! I’m so glad you tried Barry’s! I’ve been going to both Barry’s and OTF for a little while now too, and I have to say I love Barry’s so much more! I never feel OTF is as difficult, and I just don’t get that exhausted feeling after the workout! Barry’s has made me love running again and really in just a few months my stamina and running/sprinting speeds have changed dramatically! I’m surprised you didn’t an intro to class for your first time as they usually do that and I see that happen all the time! Also, FYI for the holidays they had a sale on classes so they were $14 each and don’t expire! ahhh i missed the holiday sale! i did notice that i ran faster in barry’s than i do in OTF. i’m excited to try another class! hahah! classes are crazy expensive there. i think P57 is like 35 or 40? 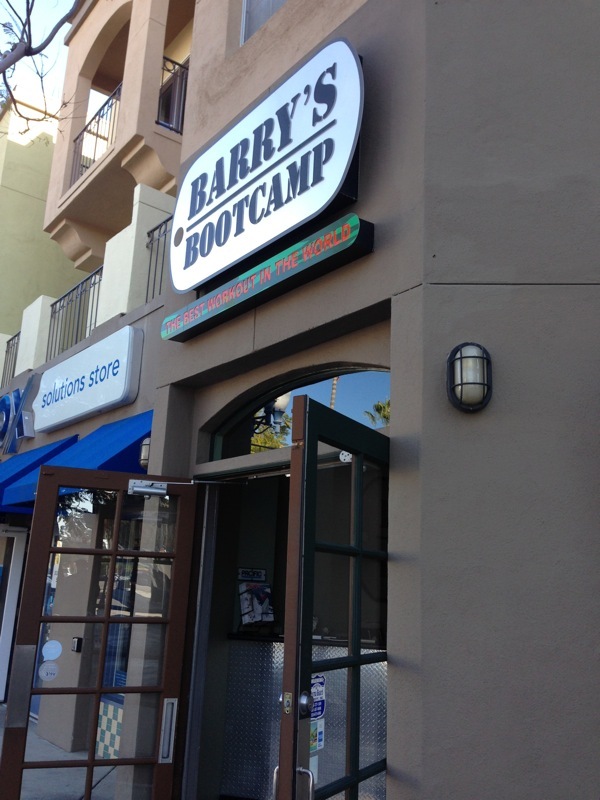 I am a member of OTF in Florida and while visiting my daughter here in San Diego, I thought I’d try a Barry’s bootcamp. I was afraid I would love it and then be disappointed I would not be able to do it again. Although it was a great workout, I prefer OTF. I love all the coaches I have had at OTF and although the coach at Barry’s was great, it seemed very rehearsed, like he has said the same thing 100 times and the atmosphere felt cold. I did love those treadmills though. Late comment here- I’ve finally tried OTF, and i have to say i like Barry’s WAY more. I think OTF coaches a bit more, but that also makes it less intense. I also went on OTF the day when it was 30 minutes of treadmill, i’m not sure if this is the norm, but I do not like this at all. At Barry’s when it is only 10 minutes at a time, I am more motivated and be able to push my pace way higher knowing i will be off this thing in 10 min or less. I also like the strength training at Barry’s a lot more. Every minute i’m doing something different, but at OTF, i’m repeating something for 5-6 minutes. A bit boring for me. yeah the treadmill portion is different depending on what day you go. you were probably there on an endurance day. on power days, you’re usually moving around a lot more! i need to go back to barry’s and reassess.